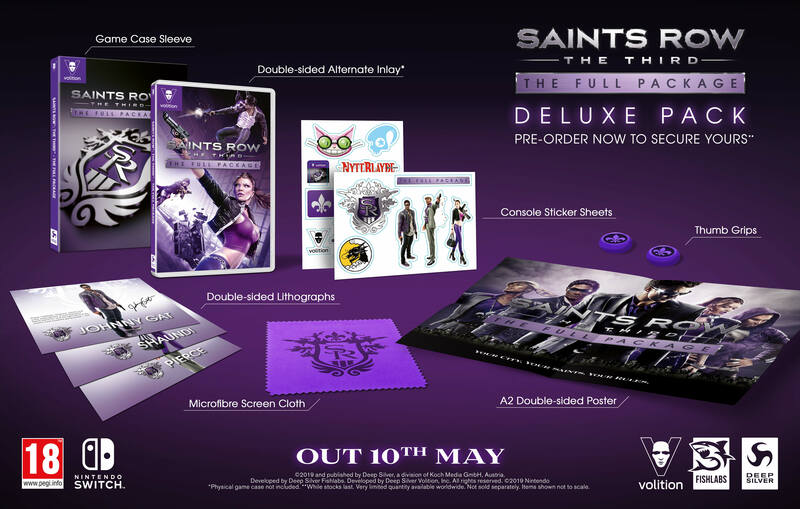 Pre-order and purchase Saints Row: The Third - The Full Package and receive a Deluxe Pack. Pre-order Saints Row the Third – The Full Package and receive a free Deluxe Pack. Pre-orders made before 11/04 will be eligible to receive this item. Available instore & online. Subject to availability, one (1) free item only per person. GAME reserves the right to amend or cancel this offer at any time without prior notice. This offer cannot be used in conjunction with any other offer. GAME reserves the right to refuse anyone believed to be representing a trade buyer. Your legal rights are not affected.